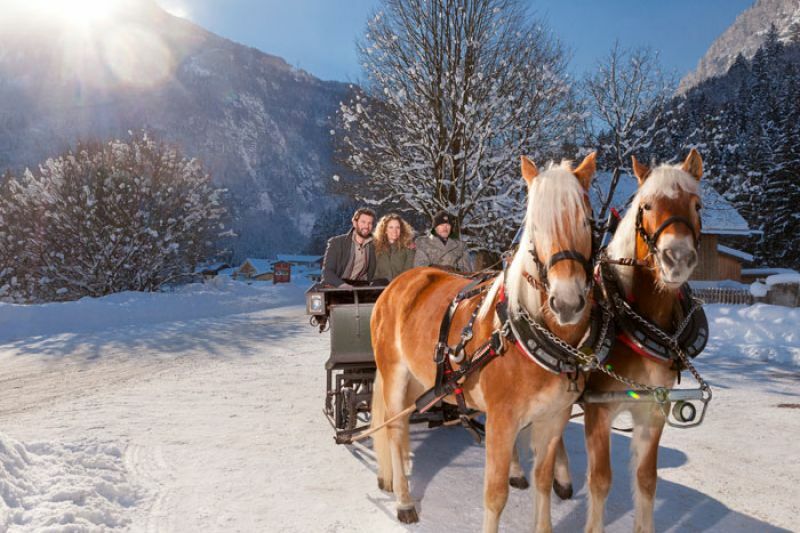 Wrapped up in warm blankets, cold, clear winter air whistling past your cheeks, steamy horses to the fore, in the heart of a snowy winter wonder land, effortlessly gliding across the snow! 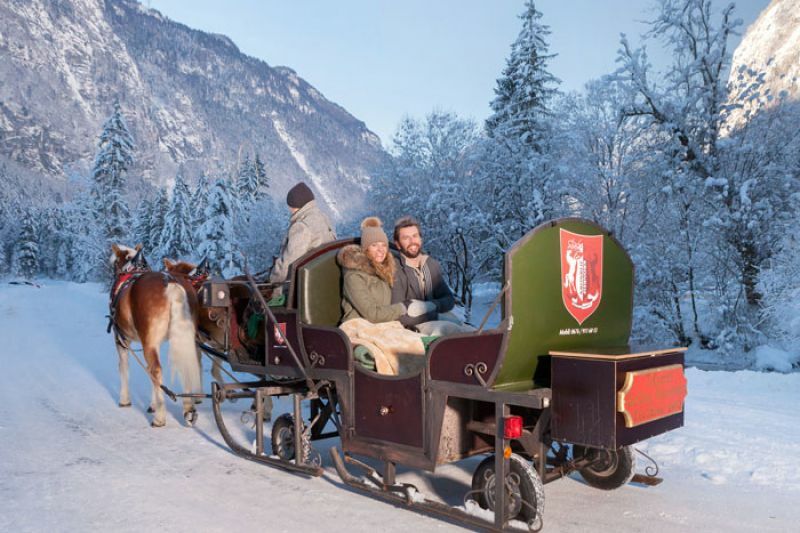 – Just like in a winter fairytale! 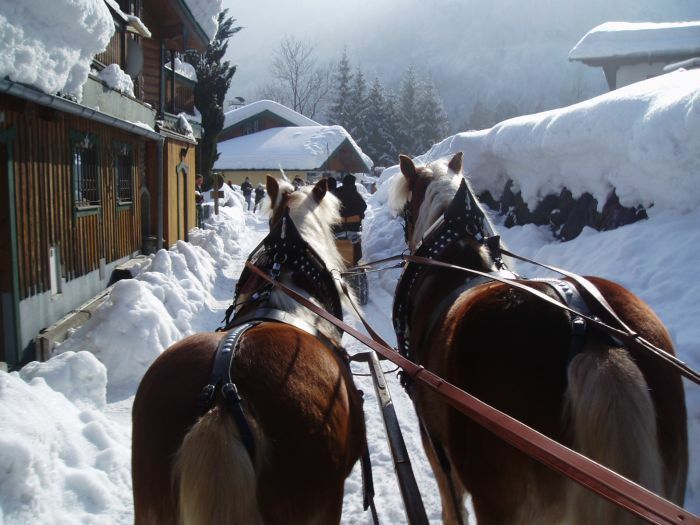 Individual horse sleigh rides - on request!